Using one of the 9 oz. plastic cups, add 1 cup of Corn Syrup. Add 3-4 drops of food color and mix using popsicle stick. Using the second 9 oz. plastic cup, add 1 cup of Water. Add 3-4 drops of second food color. 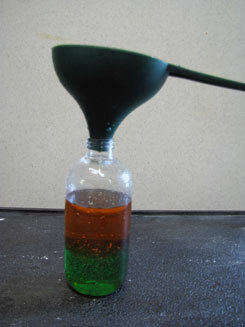 Using the funnel, carefully pour the colored corn syrup into the bottle. Rinse the funnel after this step. 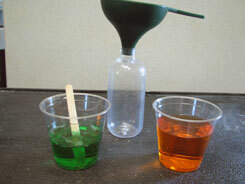 Using the funnel, carefully pour the colored water into the bottle. Pour slowly to avoid mixing the water with the corn syrup. You should see the layers begin to form. 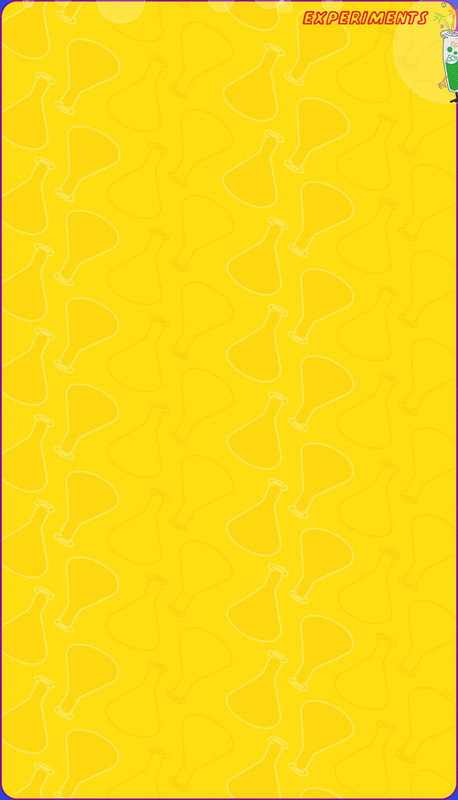 Using the funnel, carefully pour the vegetable oil into the bottle. Pour slowly to avoid mixing the water with the oil. 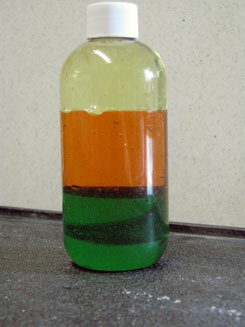 It may take a minute or two for the oil and water to completely separate and form the final layer of the density bottle. Secure bottle cap and observe. Density is basically how much "stuff" is smashed into a particular area or a comparison between an object's mass and volume. The same amount of two different liquids will have different weights because they have different masses. The liquids that weigh more (have a higher density) will sink below the liquids that weigh less (have a lower density). Remember the all-important equation: Density = Mass divided by Volume. Based on this equation, if the weight (or mass) of something increases but the volume stays the same, the density has to go up. Likewise, if the mass decreases but the volume stays the same, the density has to go down. 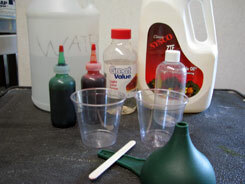 Try adding more layers to your density bottle with liquids such as rubbing alcohol, dish soap, honey and more.